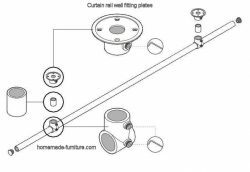 ﻿ Kee Klamps for homemade furniture construction plans with scaffold pipes. Kee klamps for the construction of homemade furniture. 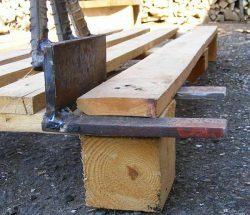 Tube clamps for scaffolding tubes to make your own furniture. 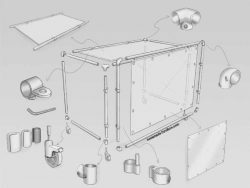 How Kee Klamps make the homemade furniture assembly easy and strong. 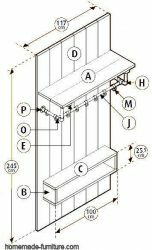 Free construction plans. 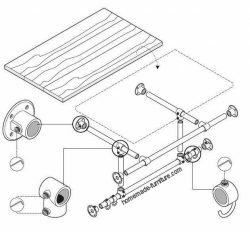 Kee Klamps for homemade furniture construction plans with scaffold pipes. 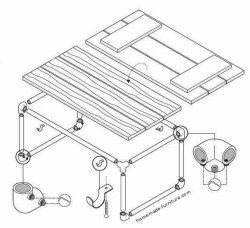 Free furniture plans » Make your own furniture with wood and pipes from scaffolding. 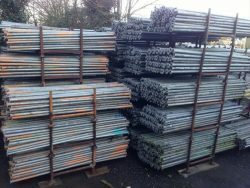 » Frames for furniture with scaffolding pipes and Kee Klamps. 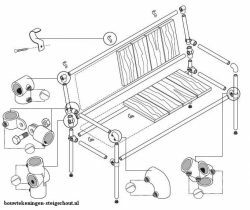 Assembly system for homemade furniture with pipes and Kee Klamps. 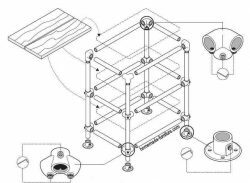 Construction plans and free drawings for homemade furniture with scaffold tubes and tube clamps. 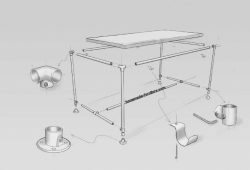 See how easy it is to make your own furniture with Kee klamps and scaffolding pipes. 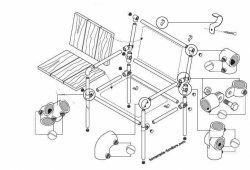 You will hardly need tools for the assembly after you have cut the pipes and wood to the correct sizes. 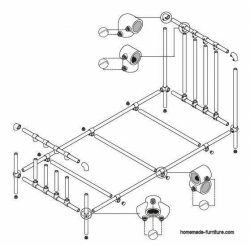 These free construction plans for homemade furniture are ideal for beginners at making furniture. 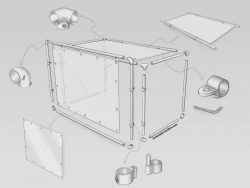 You do not need any complicated woodworking techniques. Nor do you need special tools for the furniture assembly at home. 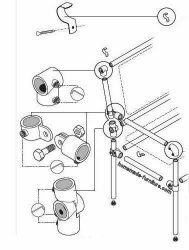 Kee klamps are the trick for this simple assembly method of our homemade furniture plans. Kee Klamp is a brand name. 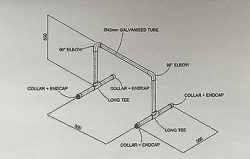 Angled connections and hinges for scaffold pipes. You can visit the Kee website to learn more about this original series of tube clamps. 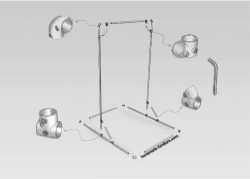 There are other versions of the Kee Klamp, such as the Kee Lite clamps for scaffolding. 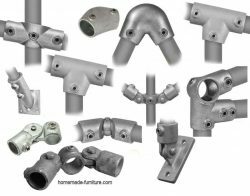 And there are ofcourse many factories around the world that make similar tube connectors from galvanised steel or aluminium. Some clamps can be a lot cheaper than the original Kee Klamps, and it is up to you to decide which serves you best. Chinese tube clamps can be just as good as the original. 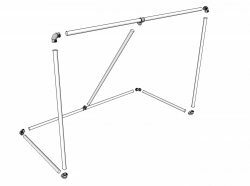 But there are also several Kee Klamp imitations that could even become dangerous if you use these in scaffolding. 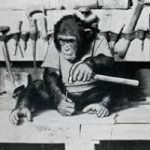 On the other hand, cheap connections will probably not be a problem in homemade furniture with scaffolding pipes and cheap tube clamps. 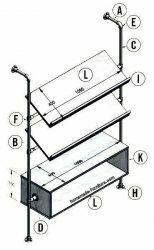 Kee Klamps and steel pipes for homemade furniture frames. 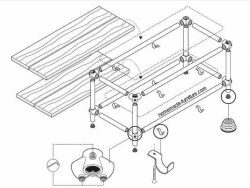 Here is a growing number of free construction drawings for homemade furniture with scaffolding pipes and Kee Klamp tube connections. 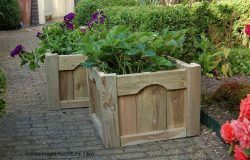 You can make these furniture frames at home without any special tools. A saw for metal is good, if you have an angle grinder that is even better. But it is also possible to get your tubes cut at a hardware store. Just write down all the tube sizes, and they will probably even cut it for free if you buy the Kee Klamps there as well. 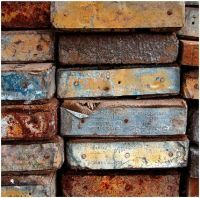 Interior and exterior measurements of galvanised scaffolding pipes. 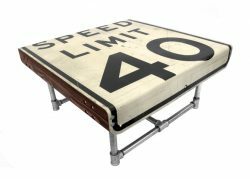 Homemade table frames and storage furniture. 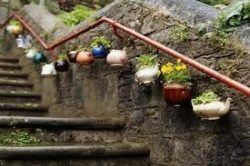 The Kee Klamps make these frames extremely strong. 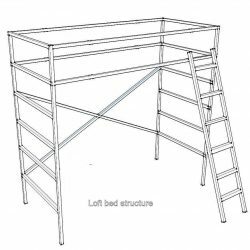 For that same reason we have quite a few construction drawings and free plans to make storage racks. 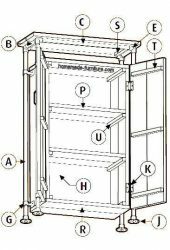 At the right a great example for a cupboard with an external frame that is made with tubes and Kee Klamps. 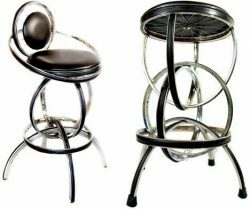 You decide what sizes you will need. 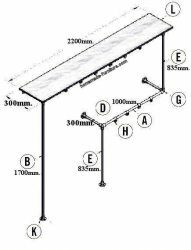 Adapt the length of your scaffold pipes to the table length of width. 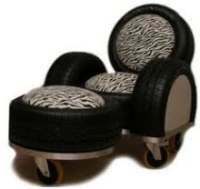 But please bear in mind that larger furniture will probably alsy need thicker tubes. Kee Klamps are available in many different sizes, to adapt the main sizes for scaffold tubes. 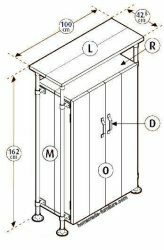 Cupboards – Racks – Shelves – Clothes Rails. Three shelves fitted to the wall. 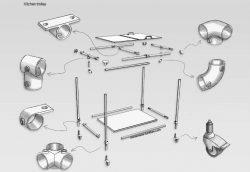 Exploded view construction drawing to make a kitchen trolley. 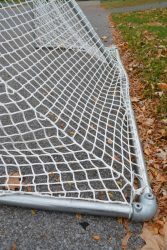 Sports installations – Soccer and Hockey goals – Crossfit and parcours training. Basic shape for parcours training and crossfit. 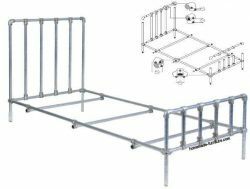 Basic shape to make a crossfit training rack with a few scaffold pipes and pipe clamps. 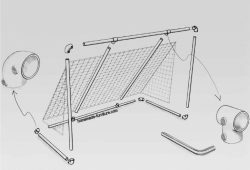 Goal post construction drawing for steel scaffold pipes. 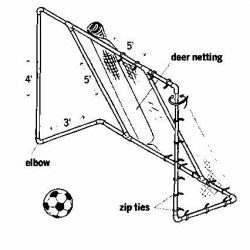 Assembly of a goal for soccer or hockey. Homemade goal post from scaffolding pipes and clamps. Table frames made with tubes and Kee Klamps. 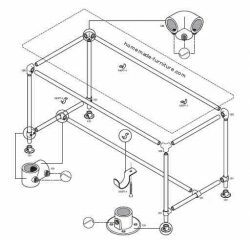 Construction drawing how to make a table on wheels. 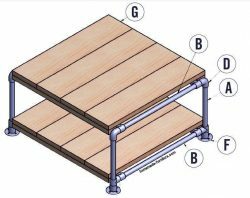 Assembly steps to make a table from scaffolding pipes. 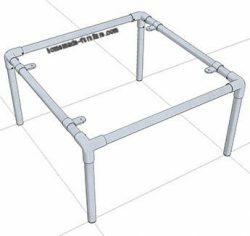 Steel pipes frame from scaffolds with Kee clamps. 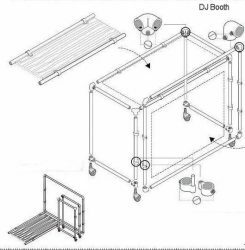 Exploded view of a DJ booth on wheels, made with scaffold pipes. 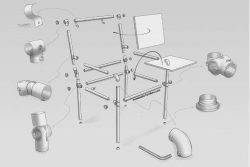 The disassembled parts to make a booth for disc jockeys. Completed frame for a sidetable – coffeetable. 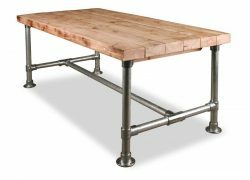 Make a picnic table with scaffolding tubes and pipe clamps. 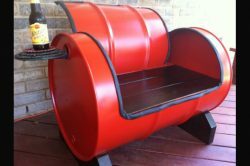 Homemade chairs and benches with scaffolding pipes and reclaimed scaffold boards. Left side construction parts for a scaffold pipe recliner chair. Right hand side of a chair from scaffold pipes. 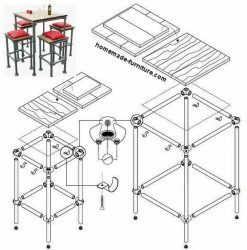 How to make a chair with scaffold pipes and planks as base construction materials. 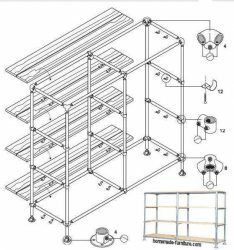 Construction drawings to make a bed from scaffolding pipes and Kee Klamp connections.